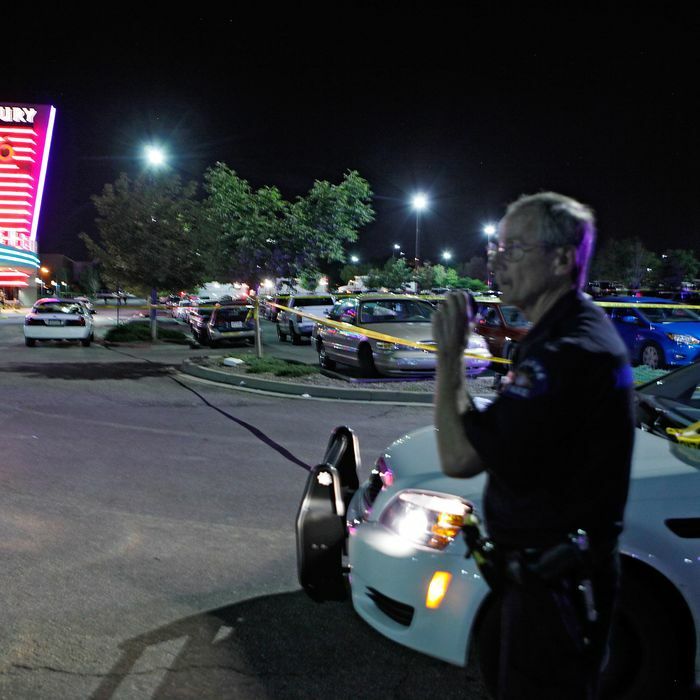 Early this morning in Aurora, Colorado, a gunman opened fire at a showing of The Dark Knight Rises, killing at least 12 people and injuring 59, according to local police chief Dan Oates. Ten people died at the scene and two at area hospitals. 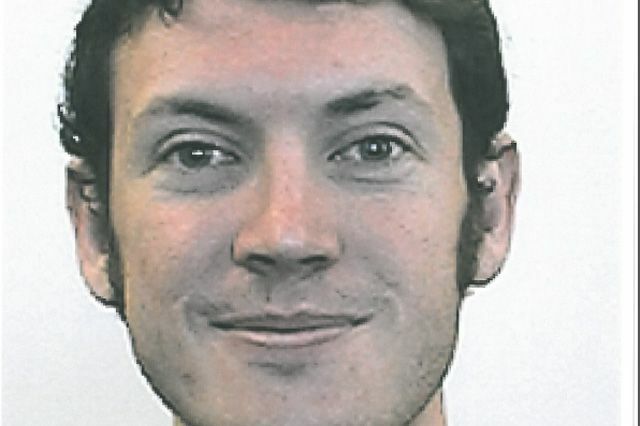 The 24-year-old suspect, identified as James Holmes, is in custody and the FBI has joined the investigation. Oates said the suspect released two devices to distract the crowd with “some sort of irritant or smoke,” and then started shooting. Earlier reports put the death toll at 14, with the wounded counted between 38 and 50. Seventy-one people were shot in total, police said Friday afternoon. “We were maybe 20 or 30 minutes into the movie and all you hear, first you smell smoke, everybody thought it was fireworks or something like that, and then you just see people dropping and the gunshots are constant,” said witness Christ Jones, speaking to Denver ABC affiliate KMGH. “I heard at least 20 to 30 rounds within that minute or two.” Eyewitnesses described Holmes as wearing a bulletproof vest. An officer said the suspect had a gas mask, rifle, handgun, and at least one additional weapon inside a car near where he was apprehended. Fearing explosives in the vehicle, the police cordoned off the theater’s parking lot. Authorities are also attempting to search the suspect’s apartment, whichis “booby-trapped” and contains “buckets of extra ammunition.” Oates described it as an “active and difficult scene,” including “apparent trip wires,” that could take days to sort out. Five buildings in the surrounding area have been evacuated. Update, 9:01 a.m.: A Reddit user has compiled a timeline of events gathered from news reports and the local police scanner. Another Redditor claims to be one of the 50 wounded and has posted (graphic) photos of his bloody shirt and wound. I can’t get this odd feeling out of my chest. This empty, almost sickening feeling won’t go away. I noticed this feeling when I was in the Eaton Center in Toronto just seconds before someone opened fire in the food court. An odd feeling which led me to go outside and unknowingly out of harm‘s way. It’s hard for me to wrap my mind around how a weird feeling saved me from being in the middle of a deadly shooting. 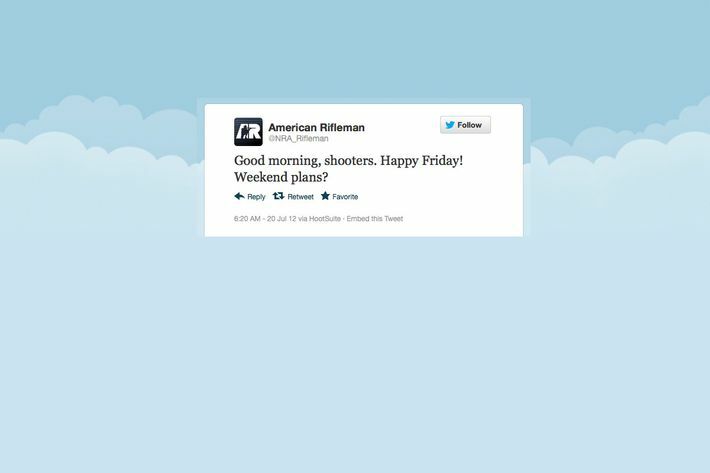 Update, 10:01 a.m.: The shooting is not even twelve hours old and the politicization has begun. ABC’s Brian Ross drew a connection to the tea party, the first and only TV network to do so. The network soon recanted. Last year, speculation initially swirled that Jared Lee Loughner, the man accused of shooting Congresswoman Gabrielle Giffords and killing six others, was inspired by the Tea Party and the “the anti-government, pro-gun, xenophobic populism” of Arizona, as Slate’s Jacob Weisberg claimed. Update, 10:16 a.m.: Warner Brothers has canceled the Paris premiere of The Dark Knight Rises because of the Colorado shooting, Entertainment Weekly reports. President Obama will speak to the nation from Florida, where he was going to be campaigning. Afterward, the president will return to the White House. Obama was told of the shooting at 5:26 a.m. EST by his counterterrorism adviser John Brennan, according to the White House. Update, 10:30 a.m.: The first scheduled court hearing for the alleged gunman is tentatively set for Monday in Arapahoe County, which covers Aurora, reports Andrew Cohen of CBS News. A subsequent CNN report said Holmes could be in court as soon as Friday afternoon. Both the Obama and Romney campaigns are pulling ads in Colorado for the time being. The Pentagon, meanwhile, reports that members of the U.S. military were either wounded or killed in the shooting. A later CNN report said two Navy personnel and two Air Force reservists were wounded. Update, 1:10 p.m.: Some comic-book fans are buzzing online about Frank Miller’s 1986 graphic novel The Dark Knight Returns, which includes a scene showing a “Batman inspired” shooting in a movie theater. Update, 1:25 p.m.: NYPD Commissioner Ray Kelly said at a news conference this afternoon that Holmes claimed to be Batman villain the Joker. “It clearly looks like a deranged individual,” Kelly said. “He had his hair painted red, he said he was the Joker, obviously the enemy of Batman.” Kelly is the first to speak publicly of such details, but is reportedly close with Aurora police chief Dan Oates, who was with the NYPD for more than two decades. Update, 2:10 p.m.: At a news conference this afternoon, Oates said Holmes was not dressed as the Joker. He described the suspect as using an AR-15 assault rifle, a 12-gauge shotgun, and a .40-caliber Glock handgun, while another handgun was found in the car near where Holmes was arrested. Update, 3:19 p.m.: There will be much more conversation about gun control in the days to come, but for now, NBC reports that all of the weapons used by Holmes were purchased legally starting in May. Think Progress notes that the semiautomatic AR-15 rifle used in the attack “would have been subject to a series of sharp restrictions” under the assault weapons ban that expired in 2004. Update, 3:59 p.m.: Some networks are opting to pull ads for The Dark Knight Rises from television in the aftermath of the shooting. Vulture has more fallout for the film here. Those who knew the 24-year-old describe him as a shy, intelligent person raised in California by parents who were active in their well-to-do suburban neighborhood. Holmes, who was studying neuroscience in a Ph.D. program in Colorado, grew up in San Diego, where his parents still live on a quiet, street of two-story homes with red tile roofs. He played soccer at Westview High School and ran cross country before going to college.